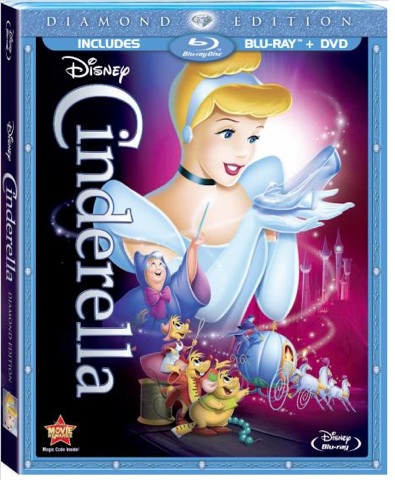 SARAH'S BLOG OF FUN: Cinderella On DVD Now!! What women doesn't dream of finding her one true love?? Cinderella is every girls fantasy. Everyone wants to be her, and I know I imagined my Prince Charming when I was a little girl!! Even though I am a huge Disney nut, I have to admit it had been many years since I had seen all of Cinderella. I was so happy when Disney sent me a copy of the movie. I sat down by myself to watch it. Of course I had tears in my eyes when Cinderellas beautiful dress is ruined, and then at the end when she waves in the carriage!!! This is such a beautiful movie, and one of Disney's all time greatest!! Disney released it from the vault for a short time. Hurry and get your copy today!! **All opinions expressed are 100% my own. I was not compensated for this post. I did receive a copy of the movie, for my review** This post is written by Sarah Coulsey. She is a Wife, and Mother of two boys living in New England.